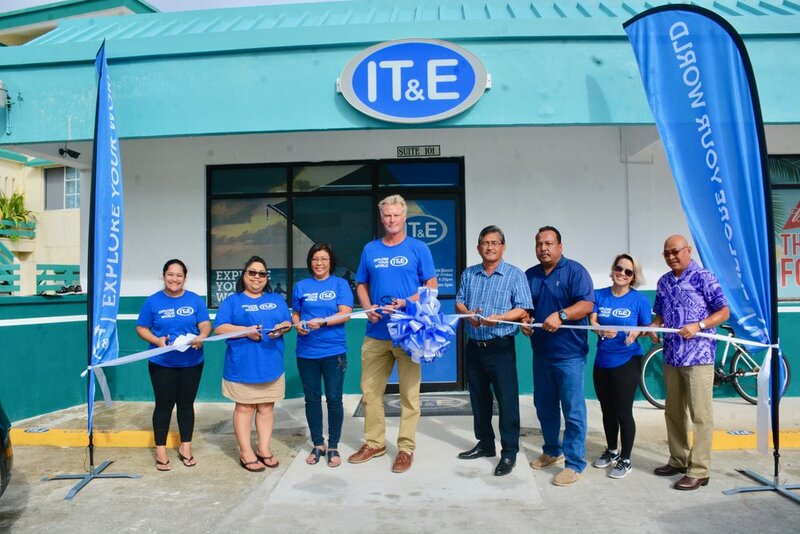 SINAPALO, Rota - IT&E, the first and widest 4G LTE network in the Marianas, opened doors to its newest retail store today in Sinapalo, Rota. Located in the Sinapalo Safeway Building, the store showcases a wide range of today’s most advanced phones for every customer’s needs. Reflecting IT&E’s new brand and commitment to discovery, exploration, and heightened personalization, the 350-square-foot space introduces new visual elements that inspire customers to explore their world. The store’s interior includes elements of the company’s signature cobalt blue with images of real people and real experiences from IT&E’s promise of delivering connections that matter, as well as interactive displays and areas dedicated to delivering a positive customer experience. Store hours are 8:00 AM to 11:00 AM and 1:00 PM to 5:00 PM, Monday to Friday. "As a brand with strong roots throughout the Marianas, it’s a natural place for us to introduce a retail experience that brings our new brand to life. We’re so excited for the community to see the first retail store with our new look." From May 17th to the 25th, customers who activate service on the $50-a-month plan or higher will receive a free Bluetooth speaker while supplies last. Remaining committed to the community, IT&E and the Mayor’s Office of Rota also cut the ribbon for the Sinapalo's Children’s Park playground. The installation of the playground was made possible through a partnership between IT&E and the Rota Mayor’s Office. IT&E donated the playground equipment and the Rota Mayor’s Office installed the equipment. "Giving back to the communities we serve is an important part of our new brand. 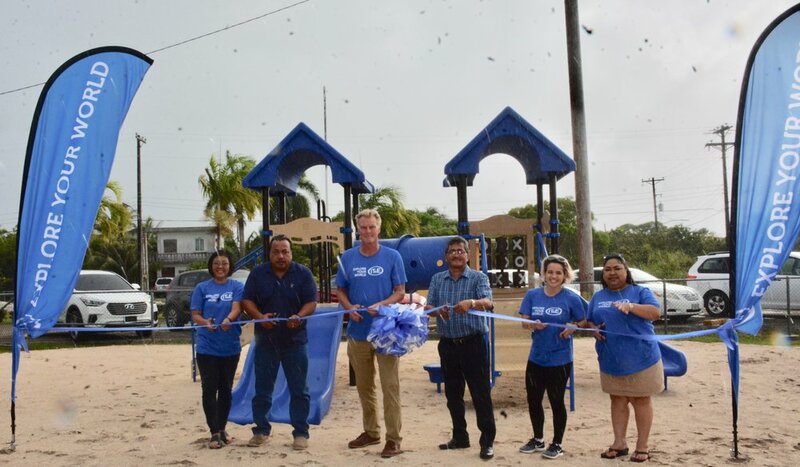 We’re excited that the children in our community now have a new and accessible playground that allows families to enjoy the natural beauty of Rota." IT&E celebrates the grand opening of its store on May 18 in Sinapalo. (From left) Natashia Tomokane, Marketing Services Supervisor; Janice Tenorio, Manager of Customer Service; Rose Soledad, General Manager; Jim Oehlerking, CEO; The Honorable Mayor Efraim Atalig of Rota; Anthony Barcinas, vice chairman of the Rota Municipal Council; Angela Rosario, Director of Marketing & Product Development; and Father John Manglona. IT&E cuts the ribbon on the new public playground at the Sinapalo Children's Park. (From left) Rose Soledad, General Manager of IT&E; Anthony Barcinas, vice chairman of the Rota Municipal Council; Jim Oehlerking, CEO of IT&E; The Honorable Mayor Efraim Atalig of Rota; Angela Rosario, Director of Marketing & Product Development of IT&E; and Janice Tenorio, Manager of Customer Service of IT&E.